If you are looking for a good 92mm fan for PC cooling or as a replacement fan for a device or component then you are at the right place. 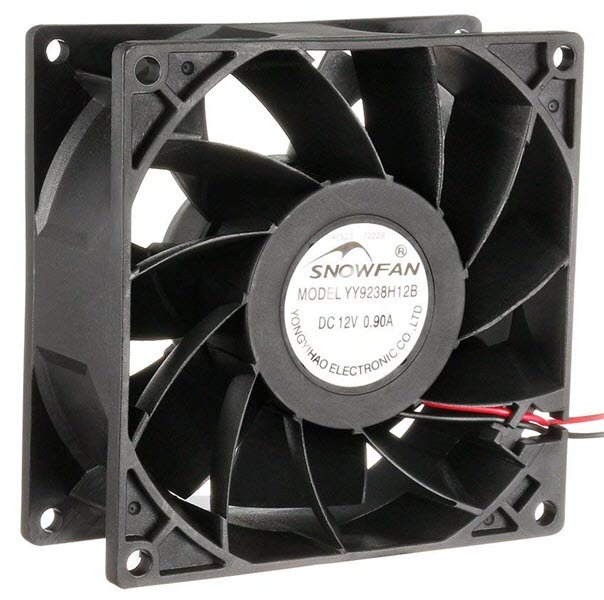 These 92mm fans are generally used in SFF low profile PC cases, mini-tower cases, server cases, compact 92mm CPU coolers, SFX power supplies, 3D printers, NAS server chassis and in some audio / video or electronic equipment. 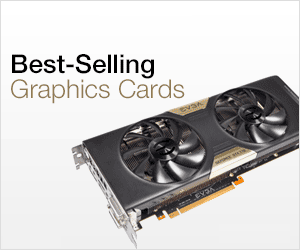 You can also use these fans on your passive graphics card or budget graphics card if it has been heating up a lot. Some users also use them to cool the motherboard VRMs, RAM and hard disk where a bigger 120mm fan cannot fit in. A 92mm fan is slightly bigger than an 80mm fan but it is substantially shorter than a 120mm fan. 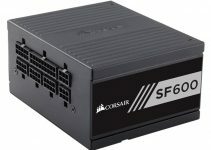 It offers a great balance between compact size and airflow, and can be used for cooling down devices other than PC components or computer cases. These fans are manufactured by handful of companies and here I am going to list down the best 92mm fans with high airflow and static pressure. 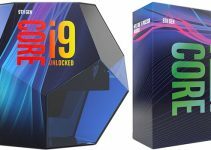 You can use these 92mm fans on SFF low profile cases, server case, pre-built slim PCs, mini-tower case, audio video equipment, on graphics card, NAS server, DiskStation DS918+, 3D printers and smaller CPU coolers, low profile CPU coolers and heatsinks. 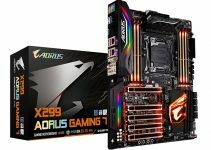 Below you can find the best 92mm fans for PC case, server case, GPU cooling, CPU heatsinks and for cooling other electronic devices and components. If you are looking for the best 92mm fan then nothing can really beat Noctua NF-A9 PWM Fan. This is a premium quality 92mm fan that comes with Noctua’s SSO2 bearing that offers high performance, longer lifespan and silent operation. This a PWM controlled fan and has rotational speed of 400 to 2000 RPM. It generates high airflow of 46.43 CFM and high static pressure of 2.28 mmH2O. It is also very quiet in operation and has maximum noise rating of 22.8 dBA. The fan can be used on CPU heatsinks and can also be used as a 92mm case fan. For reducing vibrational noise, it is fitted with anti-vibration pads on all the four corners. The fan comes bundled with L.N.A. (Low Noise Adapter) if you want to throttle its speed for more quieter operation. This 92mm CPU fan is a bit on the expensive side but if you don’t want to compromise on performance and quality then it is totally worth your money. The fan is also available in 3-pin variant as NF-A9 FLX model with lower airflow and static pressure @ 1600 RPM (max), but it is relatively quieter at 17.1 dBA. You can check out both these models from the links given below. P.S. – For CPU Heatsinks, you must get the PWM variant only i.e. Noctua NF-A9 PWM, but for other use or case fan you can buy any one of them. Here we have another Noctua 92mm fan but this one is from the Noctua’s redux series and is much cheaper than the above mentioned Noctua Fan. Redux is Noctua’s cost effective fan series that offers high quality fans at lower prices compared to the Noctua’s premium quality fans. These redux fans lack certain features but still they are very good and can outrun other fans in the similar price range. Here we have Noctua NF-B9 redux-1600 PWM Fan that comes with SSO bearing and rotational speed in range of 350 to 1600 RPM. It generates airflow of 37.84 CFM and static pressure of 1.61 mm H2O which are very good figures for a 92mm fan. This fan can be used as a case fan, heatsink fan or as an additional cooling unit in your case for cooling down Northbridge or other components. The fan does lack vibration pads on corners but it is still very quiet in operation and has maximum noise rating of 17.6 mm H2O. 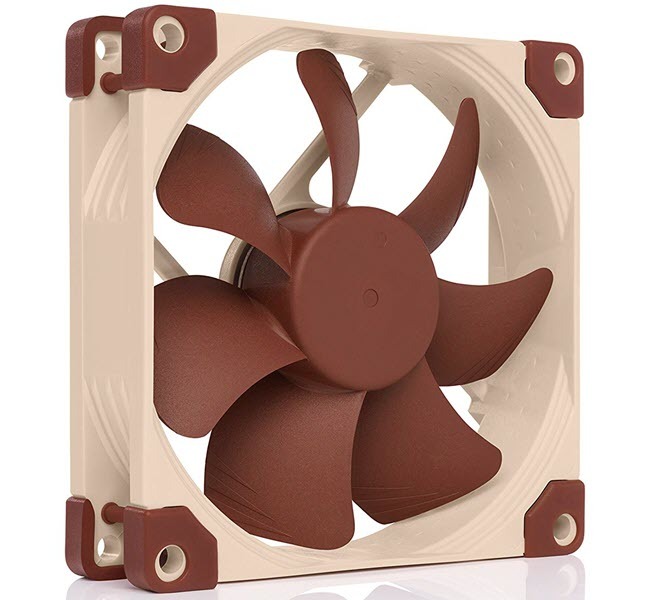 This fan is also available with 3-pin connector as Noctua NF-B9 redux-1600 FLX model that has same fan speed or RPM, and offers same airflow and static pressure. You can check out both these models from the links given below. 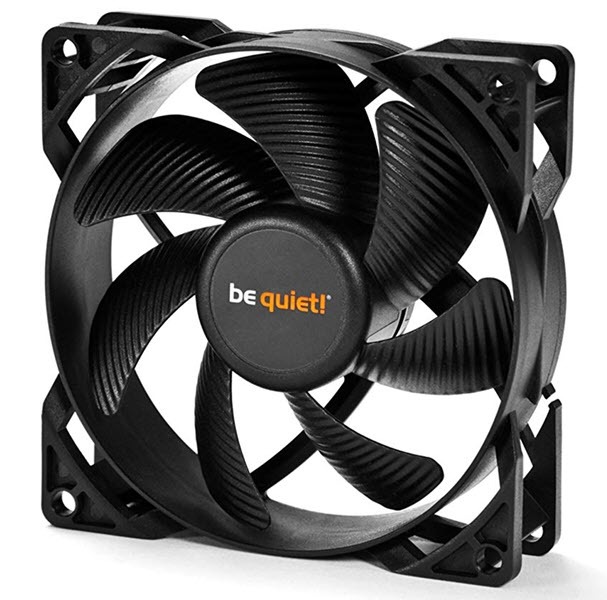 A silent 92mm fan from the be quiet! PURE WINGS 2 fan series. 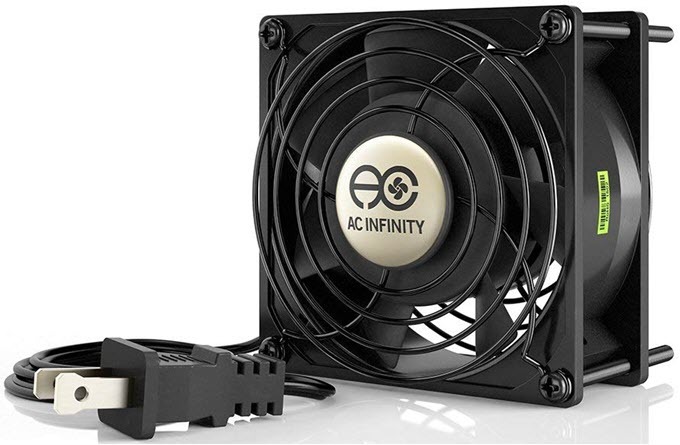 This fan packs sheer quality and is a high quality 92mm fan in this list. The fan is all black in color and comes with Long life rifle-bearing that has an operating lifetime of 80,000 hours. It is a 3-pin connector fan and spins at a constant speed of 1900 RPM. It has got seven airflow-optimized fan blades that are designed for achieving both airflow and static pressure, and it also helps to reduce noise-generating turbulence. The maximum airflow of this fan is 33.15 CFM and it can generate static pressure of 1.65 H2O. This 92mm PWM fan can is mostly suited for use as a case fan in silent home PCs, office PCs, gaming and multimedia systems. The noise rating of this fan stands at 18.6 dBA which falls in the lower side of the spectrum. Overall a good fan with great build quality and performance but I would rather prefer Noctua over this one if price is not an issue. 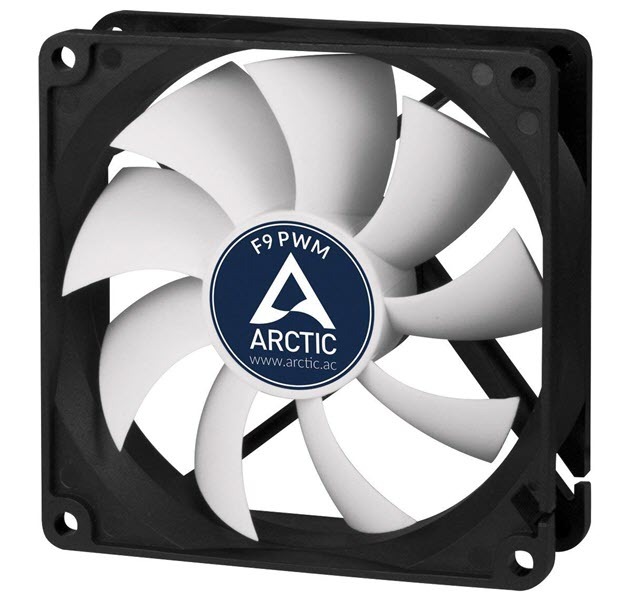 Arctic F9 PWM is a high airflow 92mm fan for use in computer cases. This is a silent 92mm fan that comes with fluid dynamic bearing and rotates at speed in range of 550 to 1800 RPM. The fan generates airflow of 43 CFM and has maximum noise rating of 0.4 Sone. The fan can be used as both intake or exhaust fan inside your desktop or server chassis. Even at full speed it is pretty silent and offers great performance for the price. It is relatively cheaper than the Noctua’s and Bequiet fans and is a value for money fan. Highly Recommended by me. P.S. – There is also a 3-pin model available for this fan and you can check out both these variants from the links given below. Silverstone FW91 is a fancy looking 92mm fan that is designed for both high airflow and high static pressure, because of its double curved fan blade design. The fan uses PWM connector, long life sleeve bearing and has speed in range of 1500 to 2800 RPM. It generates airflow of 49.5 CFM and static pressure 2.76 mm H2O which are commendable figures for such a small fan. It includes anti-vibration rubber pads on corners for keeping noise to minimum levels. However, the fan is a little louder than the competition and has maximum noise level rating of 27.7 dBA. The fan can be used as a case fan or in static pressure applications such as heatsinks or in restricted spaces. It is available in only one color scheme which is blue frame with white blades. 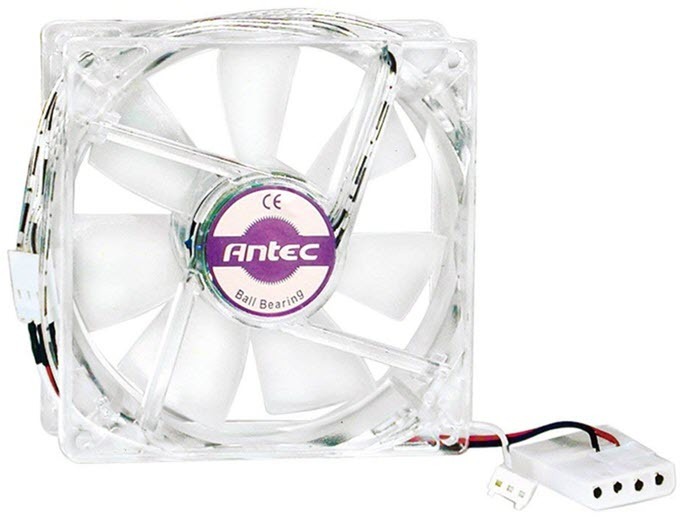 Here we have another high airflow fan which is Antec Pro 92mm DBB Fan. This fan uses double ball bearing and spins at a constant speed of 2600 RPM. For connectivity, it uses a 3-pin motherboard connector and a 4-pin molex connector. The fan generates healthy amount of airflow @ 42.4 CFM but is rather noisy at 33 dBA. The fan has transparent frame body and translucent or white fan blades. 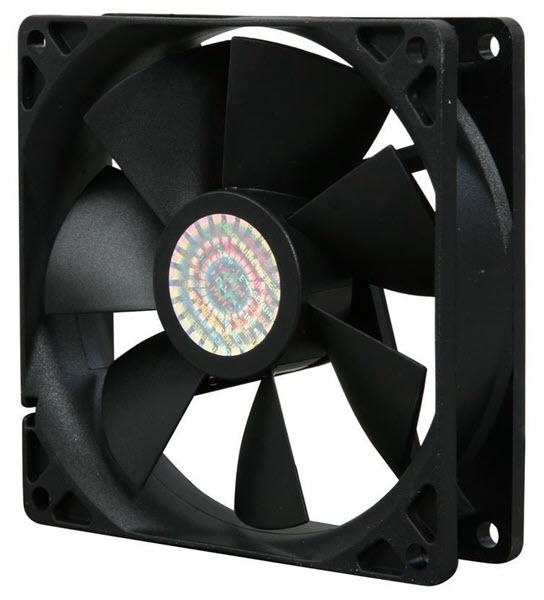 Overall, a reliable 92mm fan that is suitable as a case fan, both as intake or exhaust. If you are looking for a cheap 92mm fan for your PC case then Cooler Master Sleeve Bearing 92mm Silent Fan is a perfect choice. 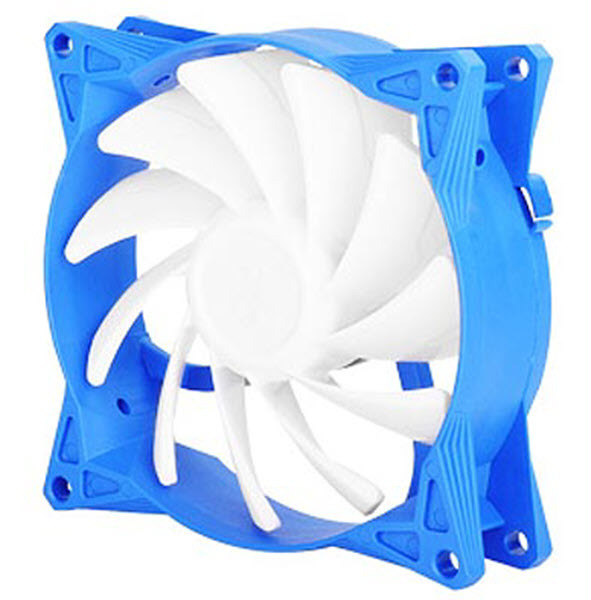 This 92mm case fan comes with sleeve bearing, 3-pin connector and has constant speed of 1900 RPM. The fan generates airflow of 32.53 CFM which is quite decent, and has noise level rating of 20.8 dBA. The fan offers good performance at lower price and is quite reliable too. Highly Recommended for users on tight budget. This is a high performance and heavy-duty fan that is designed for use in DIY projects or as a replacement fan for various products. The fan comes with Dual-ball bearings and for connectivity it uses a standard 100 to 125V AC Plug. It is a 38mm thick fan and is not to be used with PC cases. It has maximum speed of 2600 RPM and generates airflow of 47 CFM. It must be noted that this fan is not designed for silent operation but for performance, and it is comparatively louder than a 92mm case fan and has maximum noise level rating of 40 dBA. The fan moves a lot of air and is suited for harsh environments and tough conditions. The fan is made of aluminum and the frame includes a fan guard for protecting the fan from other objects. You can use this fan for cooling a device or increasing ventilation or airflow at a particular place. So, if you looking for a powerful 92mm fan for your household or electronic projects, or for other devices then you must get this one. This is a 92mm industrial cooling fan having thickness of 38mm. The fan is designed to use in applications where much higher airflow is required. The fan comes with dual ball bearings and has fan speed of 4800 RPM. It generates airflow of 130 CFM which is tremendous and has noise level rating of 47 dBA which is on the louder side. There is no connector attached to this fan and it comes with two loose wires at the end, where red one is positive and black is negative. The fan requires 12V DC and 0.9A current for its working. 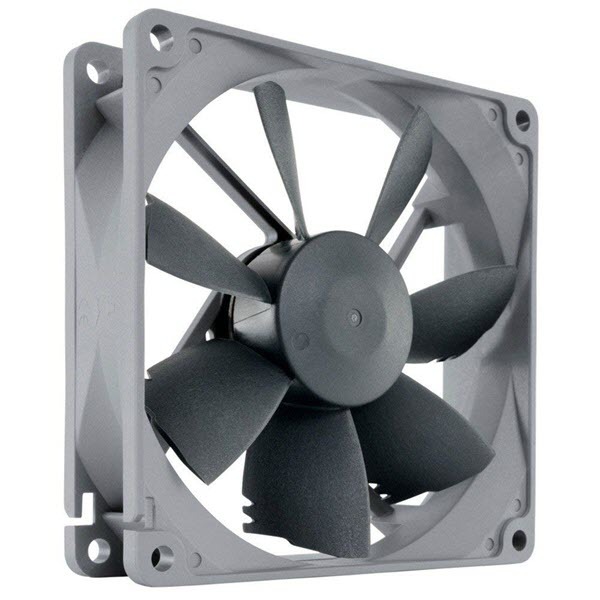 So, if you want a high airflow 92mm fan for heavy duty applications where cooling is the main priority then this fan will do the job for you effortlessly. 92mm fans may be out of fashion but they are still being used in many devices and components other than PC components. Above, I have mentioned the best 92mm fans for every budget and use, and you can choose the right fan depending on your requirements or budget. If you have got any queries or doubts regarding these 92mm fans or their compatibility then you can ask me by leaving a comment below.